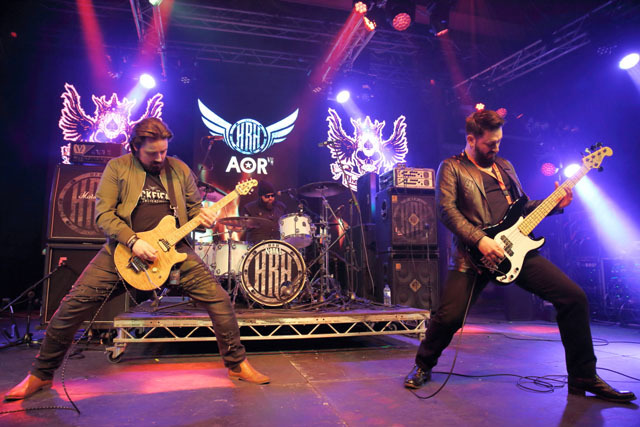 Share the post "Gig review: HRH AOR – Pwllheli, Wales, Friday 9 March 2018 (Day 2)"
Having given up the opportunity of the Thursday after-show party, a leisurely start to Friday was rewarded with Scottish rockers The King Lot. 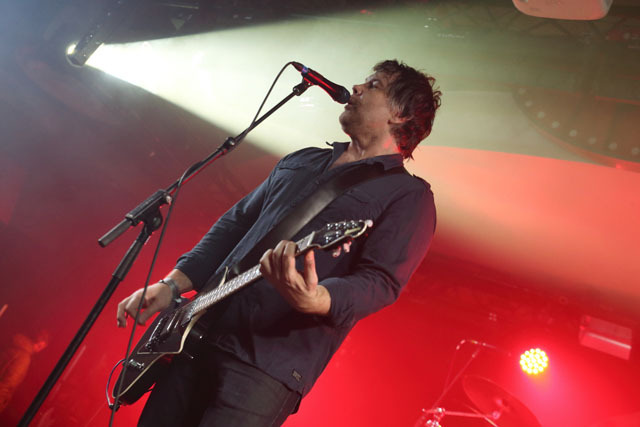 They kicked off the main stage activity and, after a successful Pledge campaign for their second album, the band have been busy touring and had brought with them their faithful – vociferous – followers ‘The Clan’. 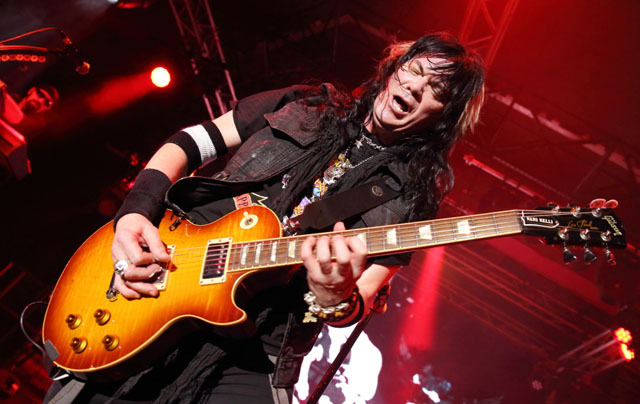 Since guitarist Jay Moir joined the band their sound – along with their stage show – sounds and looks a lot more ballsy than previously. A few new songs in opener ‘Hearts On Fire’ and ‘A World Without Evil’ slotted in really well with material from their debut. I have no idea what they put in the water in Sweden, it is like a well oiled conveyer belt churning out melodic band after melodic band: in previous years we have had Reach, Crazy Lixx, H.E.A.T , Eclipse, and this year we were introduced to Cruzh. I had heard choice cuts from their album which whet my appetite for more so I was looking forward to them. However, for me, the songs didn’t quite stack up live as I had hoped they would. Good AOR is ten a penny, great AOR is much harder to find. Although they were well received I thought their sound was a little limp and missing a dose of grit. With a number of bands pulling out, Daylight Robbery from the Midlands were standing in for Broken Witt Rebels and taking their opportunity with both hands. Bolstered by layers of keyboards they walked a fine line between AOR and prog but, nevertheless, they were far more suited to the bill that BWR aquitting themselves well and making a load more new fans in the process. I left the main stage briefy to catch Iconic Eye. 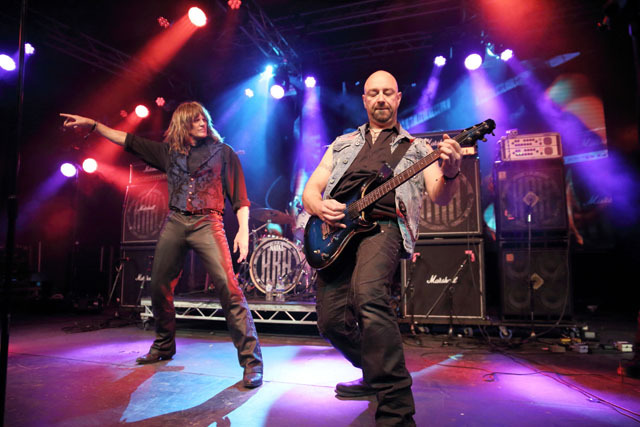 I remember their set on the main stage a few years ago, but now – with a new formation (apart from Greg Dean on guitar) – there was a much more cohesive and fluid performance with vocalist Jane Gillard loving every minute of playing to a nearly packed out venue. Stage clashes can be a minefield at HRH and finding time to recharge and fuel up for the evening slot had to be priority. One of the bands who have found their way into everyone’s heart at HRH is The Radio Sun, who have appeared here for the last three years. Apart from their own set this evening they also played at the aftershow party the previous night and again on the acoustic stage this afternoon. They bounded on stage flanked by Australian flags, greeting members of the crowd like old friends. Their set is light, full of big choruses and backing vocals, just the thing that is needed halfway through the day to put you in the mood. If they are invited back next year it was joked that they should call it The Ashes Tour. For me there were two sets that I dared not miss, for fear being ejected out of South Wales, the first being Fireroad on stage 2. I have grown with these guys for the past 4/5 years and watched them play empty clubs to the proverbial one man and his dog, so nobody is more proud than myself when they get announced as one of the Stereophonics main support bands on their Irish dates and their stadium shows in the summer, hard work does pay off. Setting up their gear I was a little worried the crowd numbers would let them down, however by the second song – Minute – the whole place was filled and bouncing. They squeezed everything they could into 45 minute set and finishing off with Neil Young’s ‘Rocking In The Free World’. Their second album is about to be released with some bonus content: if you like your rock music, working class, and honest , check Fireroad out. 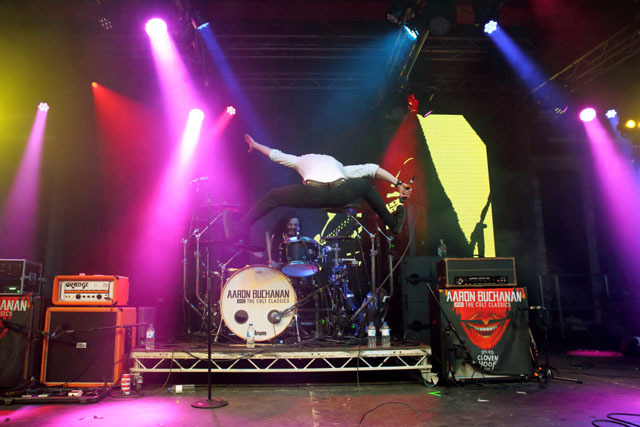 Another benefactor of a band pulling out was Aaron Buchanan and The Cult Classics, try saying that after a few beers. They have been making tsunami-sized waves in the live scene. Aaron seems to have formed a band where he can display his personality without fear of being held back. He has that air of flamboyancy of the late great Freddie Mercury, something that has been missing for a long time in a British band. They threw a few Heavens Basement songs into the mix along with a couple of sly digs at his former band mates. This band is exciting, vibrant and really good fun to watch. By half ten the venue was stifling hot, standing shoulder to shoulder waiting for the main attraction of the weekend , for me anyway. 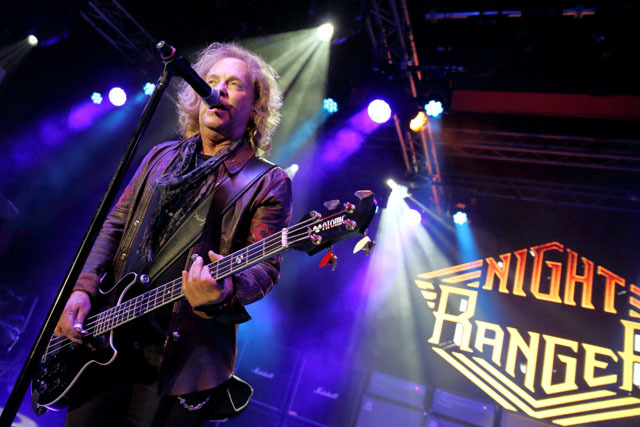 Night Ranger are back, and it seems that the only time we get them to the UK is when they do a festival or a London date. Starting with a song from the latest album – ‘Somehow Someway’ – set things in motion for another memorable night, closely followed by ‘Touch Of Madness’ and ’4 In The Morning’. 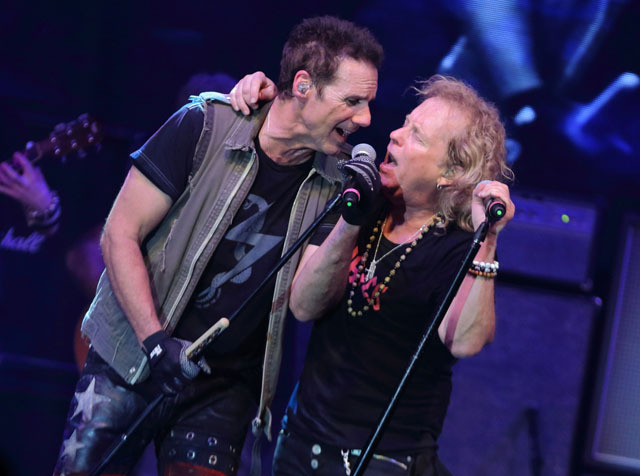 Jack Blades and Keri Kelli bounce off each other on stage like a couple of wind up toys , while Brad Gillis straddles the front of stage reeling off the solos. Some of the biggest cheers came when they delved into the Damn Yankees catalogue, with ‘Coming Of Age’ morphing into ‘High Enough’. 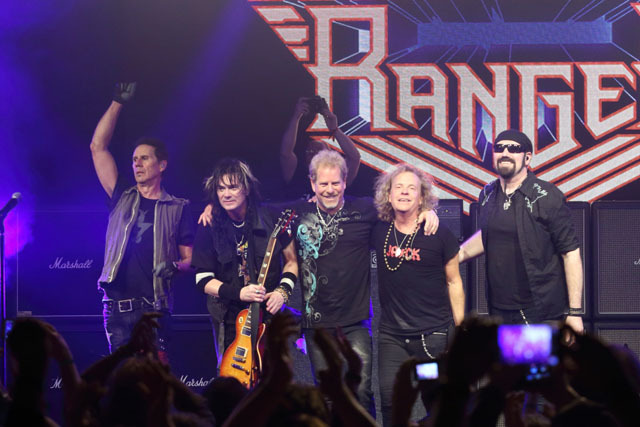 Night Ranger proved why they have been at the top of their game for 35 years: a mesmerising show, demonstrating that they are not going to stop anytime soon. Despite the 20 minute delay in starting, we had the full set, ‘Don’t Tell Me You Love Me’, ‘When You Close Your Eyes’, a poignant and emotional ‘Goodbye’, ‘Sister Christian’and the Night Ranger standard rocker in ‘You Can Still Rock In America’, sending everybody back to their caravans happy and singing. 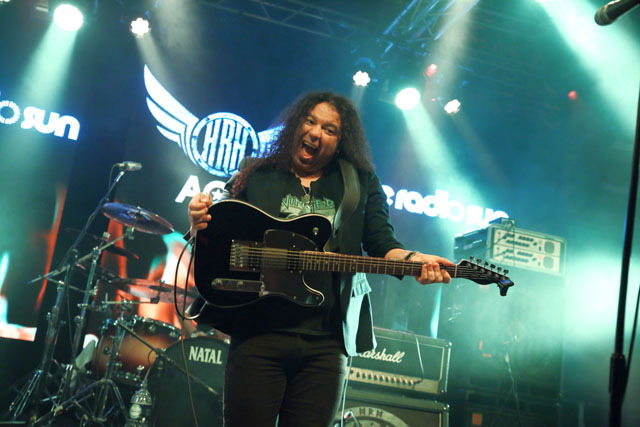 This entry was posted in All Posts, GIG REVIEWS, Special Events and tagged 9 March 2018, Aaron Buchanan, AOR, Cruzh, Daylight Robbery, festival, gig, HRH AOR, melodic rock, Night Ranger, Pwllheli, review, The King Lot, THE RADIO SUN, Wales. Bookmark the permalink.